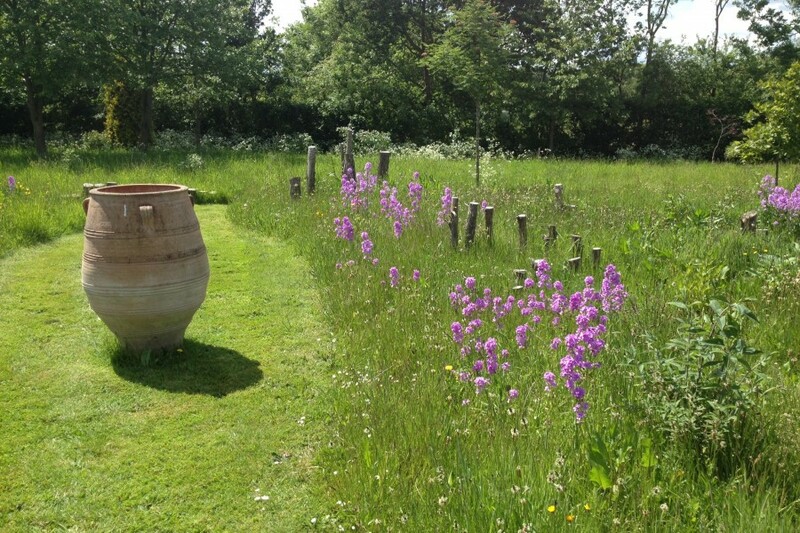 Planting for a country meadow landscape. 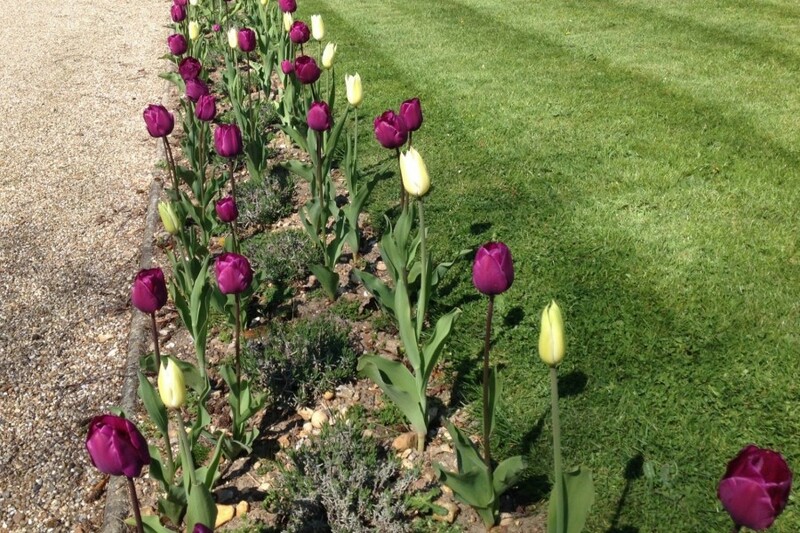 Tulips were added as edging along the drive. 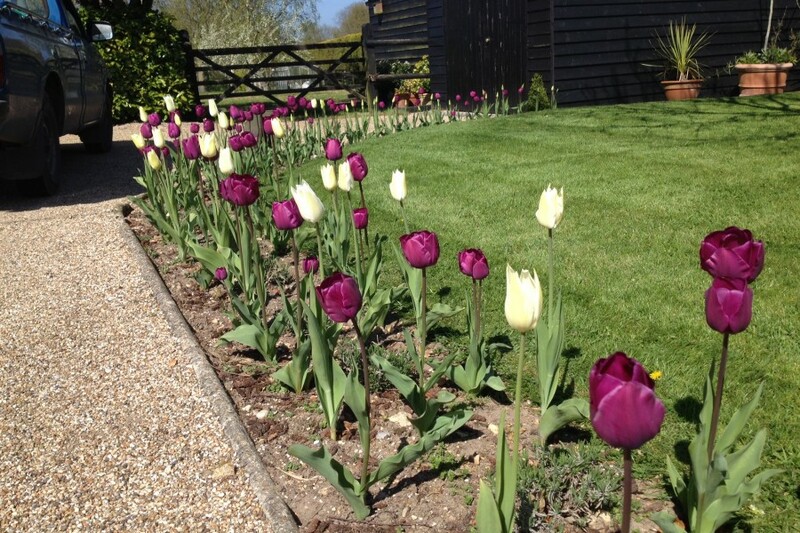 Giving Spring colour, once the Tulips have been cleared Lavender takes over for the rest of the summer. 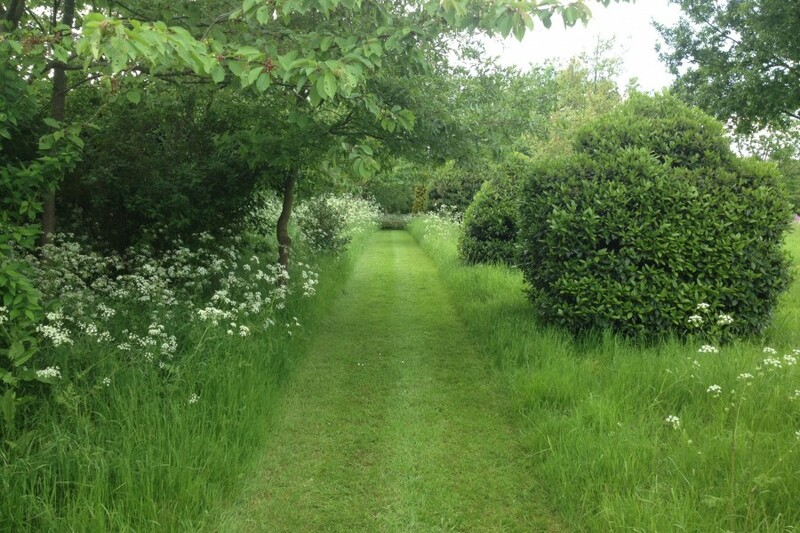 Cow Parsley was used along the edging of the meadow and wild flowers were planted to give early summer colour. Plants used include Lunaria biennis, whose common name is Honesty. 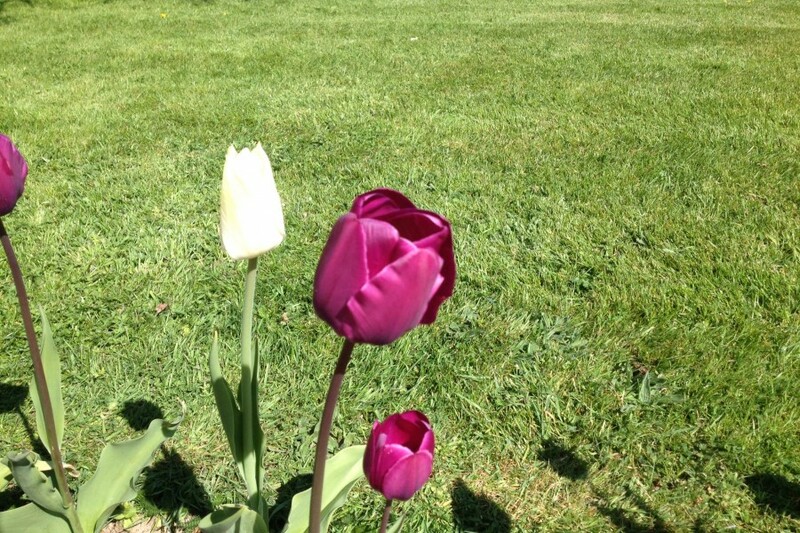 Tulips and Lavender to edge the drive. Cow Parsley to edge the meadow walk.